My first car, a Holden Torana. Not the fast version, but the less powerful four cylinder 1900cc version. It was nice inside, with a cream vinyl interior. The “hand brake” was operated by a small foot pedal on the left. It was released by rotating a knob, but over time it could no longer grab its shaft and the brake had to be released by pushing a lever immediately behind the dashboard; and this made it a kind of anti-theft device as those who weren’t familiar with it couldn’t release the brake. The high and low beam was switched with a small foot button near the clutch pedal. I loved this method as you could dip your lights when turning corners, with the modern way of using a steering wheel stick it’s easy to miss dipping as you turn. 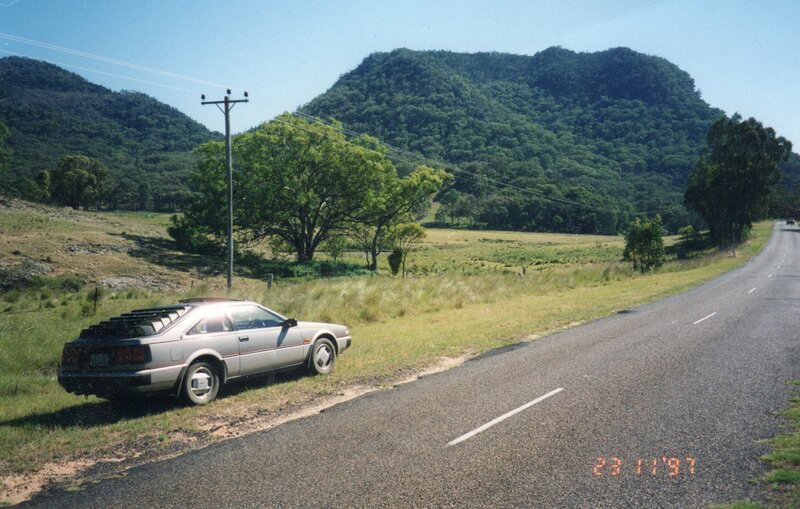 The car met its end around 1985 when I was going down the hill down Inglis Road heading towards Beaconsfield Upper. I was over taking a car (no double lines back then) and a left turning vehicle pulled out of Manuka Road onto my over taking lane. I couldn’t stop completely and the collision did enough damage to write the old car off. Bought in November 1984, the Ford Cortina Mark IV 1980 was a fun car to own. This car featured factory fitted driving lights and a manual wound sunroof. 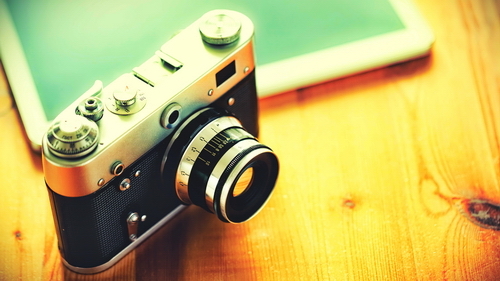 It was great in summer but otherwise it wasn’t used much. Once after being left parked at Berwick railway station I returned to find the whole instrument panel missing! Someone had broken in and helped themselves to parts. I tried starting the engine and I heard more parts fall out from under the bonnet. A look in the engine bay revealed a missing distributor; so they were obviously filling a parts order. There was a silver lining to this incident; I bought a new instrument cluster from a wrecker complete with a tachometer and about 50,000 less kilometres on the odometer. Even the different distributor seemed to fix the pinging problem, for a while at least. As for the Torana there were lots of rust problems, mainly in the boot rather than in the windscreen frame like the Torana. The two litre engine gave it enough power to make it a good drive but it was difficult to tune; I could never get rid of the pinging that occurred when under a bit of power. I remember the speedo showed about 10 km/h less than what you were doing and the new owner I sold it to quickly got a ticket. In May 1992 it was sold and it was good to move on from a car that was getting harder to maintain. My first and only motorbike. 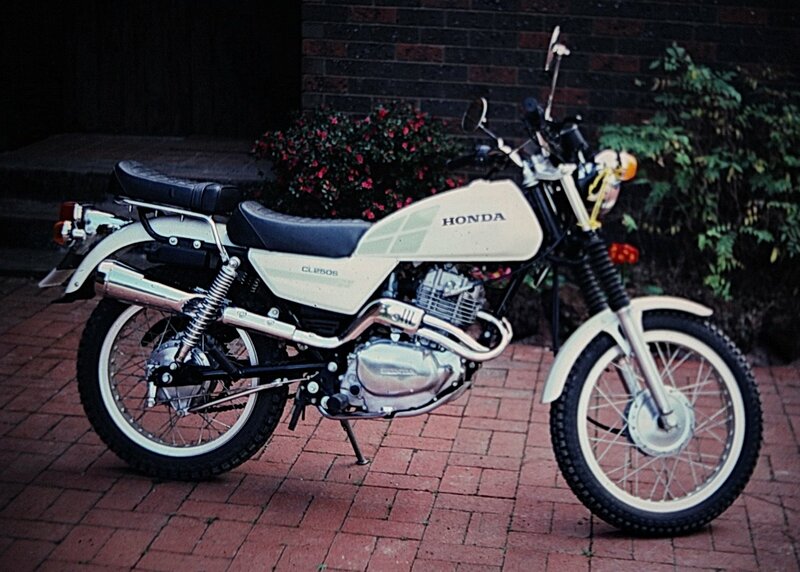 The Honda CL250s was a road and trail bike with the unique feature of an extra low gear accessed by pulling in a small lever adjacent to the clutch lever. This was great when climbing steep bush tracks. Once I had to lie the bike down and rotate it to return from a track that got too steep. I really enjoyed owning a motorcycle, you just feel so free riding the countryside with no car pillars to block the view. Honda make great bikes with engines that tick over nicely. I really enjoyed my short period of being a motorcycle owner. After settling down it was sold (too dangerous apparently), Mum was happy until she learned that my brother had bought it! I acquired the Nissan Gazelle Hatch in 1995. Once owned by my mum this car had a nice 80’s look but it was underpowered with a four cylinder 2 litre engine. Once Super fuel was replaced by the lower octane rating “unleaded” fuel its performance became even worse. The pop up headlights were an interesting feature. Sometimes the position detection switch would short out causing them to go up and down continuously when they were switched off. The only way to stop it was to set the “lights up” switch to up. The headlights would then stay up and they could be turned off. Twin spark plugs for each cylinder was a useless feature that just made servicing more expensive. And the large rear flat window made the car ideal for gathering the hot sun. I tried an Aunger louvre and this worked well except the rear wiper could no longer be used. About a third of the sticky pads holding it to the glass failed, and eventually the louvre broke and it had to be removed. I did like how the orange lights lit up the dashboard at night and the sunroof was a fun feature, although it no longer worked after loaning it to some friends. It did corner very well, but it tended to look better than it drove. The Nissan Gazelle was more reliable than the Australian built Ford Cortina and Holden Torana cars I had owned previously but the build quality and reliability wasn’t the best Japanese cars can offer. In 2011, after the automatic transmission was beginning to fail; it was driven to Northern Auto Recycling and I got $200 for it. 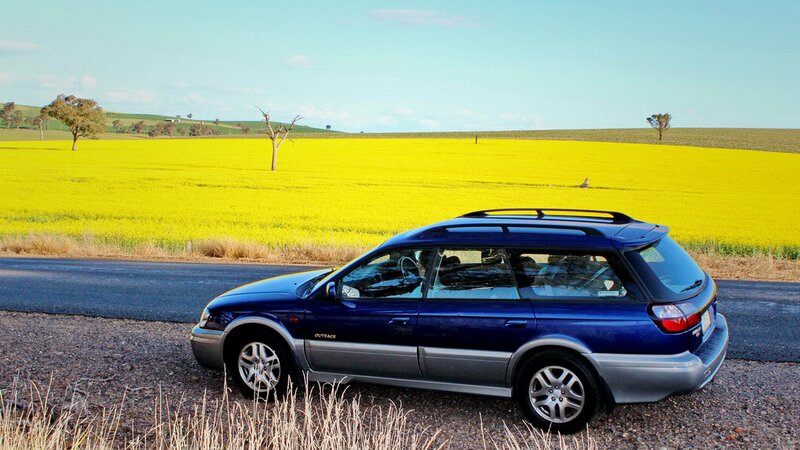 The Subaru Outback on a road through beautiful Canola fields. My only car bought new, purchased in 2001 when Kyle was only one, it’s still a great car to drive and own. Like the Nissan Gazelle it has proven very reliable and being all wheel drive it feels very secure on the road. It’s been ear-marked for when Kyle gets his licence but after playing Forza on the Xbox One he now wants an Impreza.